And so Xmas Crafternoon prep is on! I now have 6 upcycling workshops lined up throughout December. Find out when and where at www.thriftybydesign.ca. 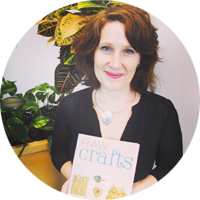 One of my Xmas Crafternoons is with New Westminster Public Library on Saturday, December 17th from 2pm to 4pm. 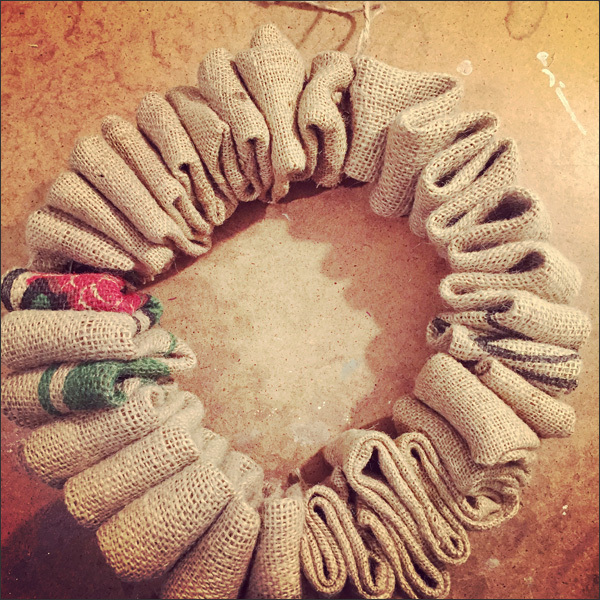 We're making DIY wreaths out of upcycled wire hangers and burlap. Who knew you could make something super pretty with so little and in no time. First you need a wire hanger. I cut off the top hook off with a pair of pliers then unraveled the hanger. 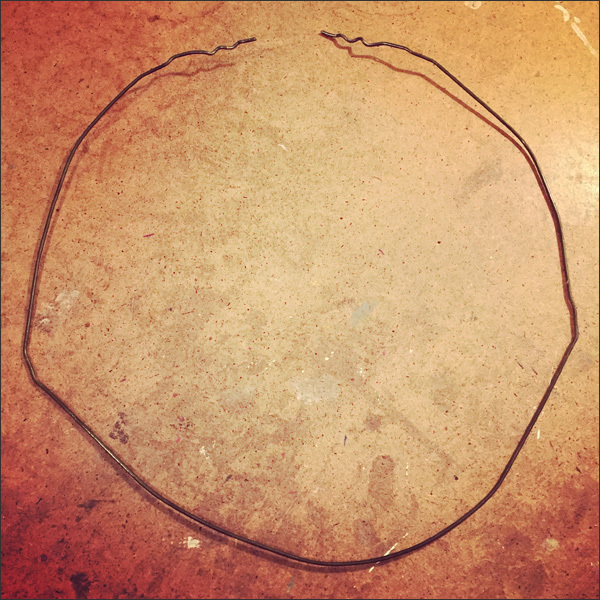 Next I shaped it into a circle. 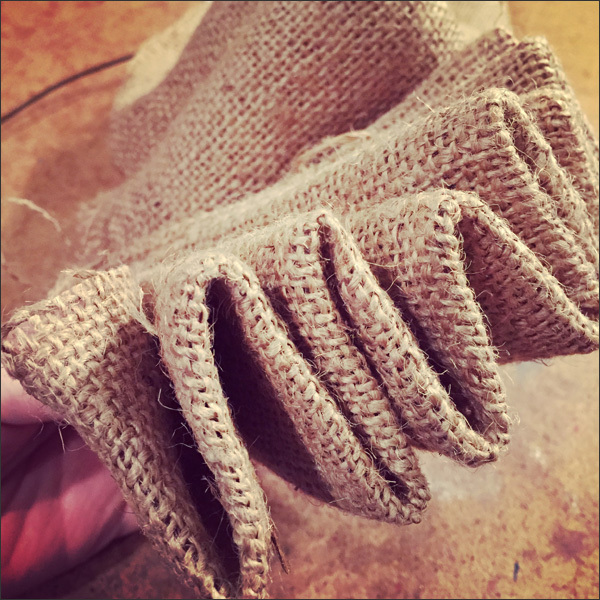 I then cut strips of burlap. I used 4 strips that were 12 inches wide and maybe 4 feet long. You can try using one long strip but I wanted to use up some of my scrap burlap from past projects. I then folded the strip... I folded the ends in and then folded again to hide the ends and loose threads. 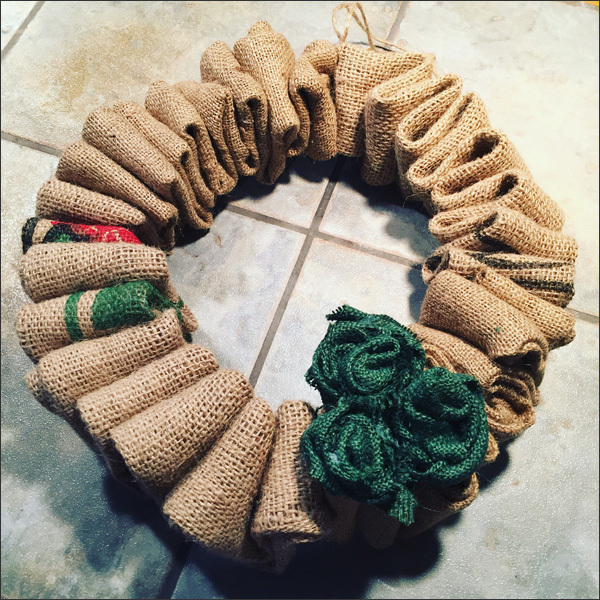 You can buy lovely burlap ribbon from Michaels to avoid loose strands of burlap but why not go for free materials and repurpose burlap sacs! You then weave the wire hanger through the burlap. 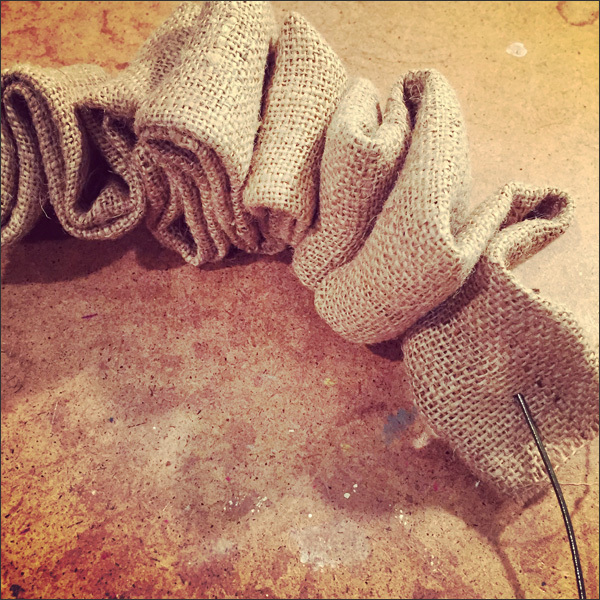 I would do one fold at a time since it's easier to push the wire through the threads of the burlap that way. 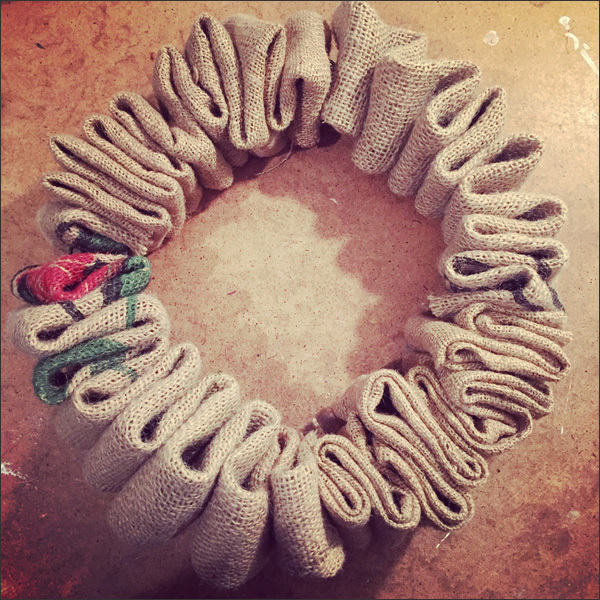 You can also fluff the burlap folds and twist the burlap to help make the burlap wreath more robust. 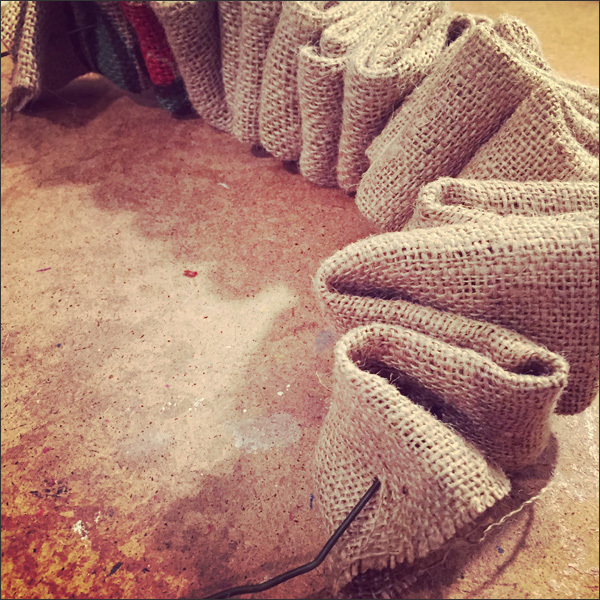 I used burlap from 2 different sacs... You can't tell I have 4 different strips and different burlap. 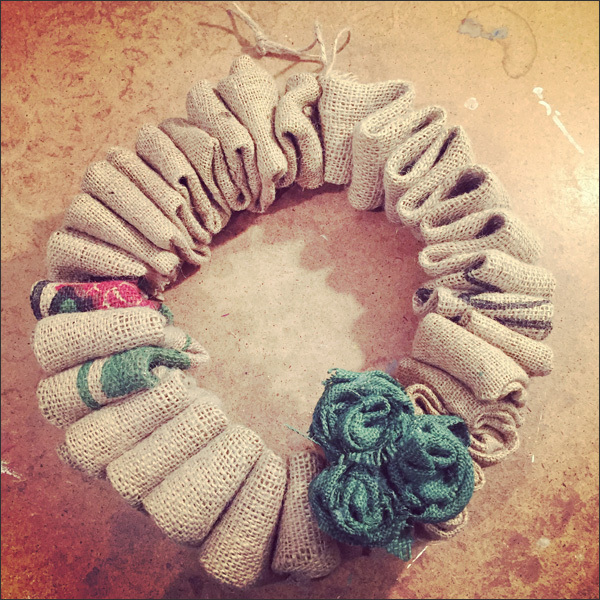 Here's the wreath with the 4 strips of burlap. 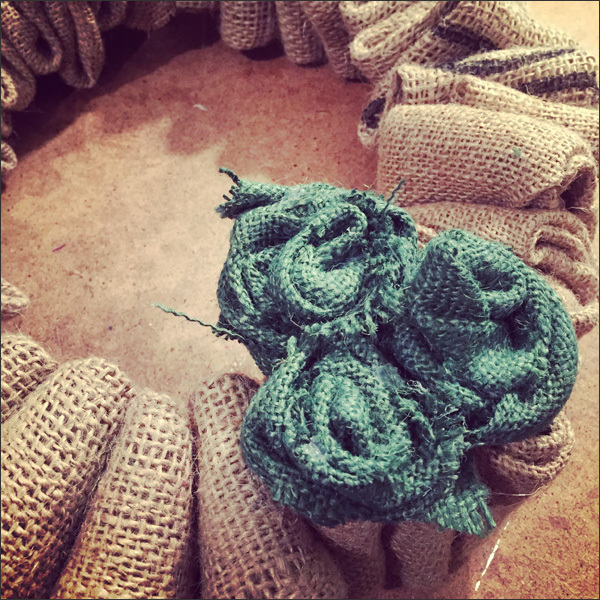 I used my pliers to close the wire circle then I adjusted the burlap to hide the lose threads, to fluff up the folds, etc. I then added a jute hanger to the top. This is such a simple DIY that it only took under an hour to complete the basic wreath. I love how it's looking so far! 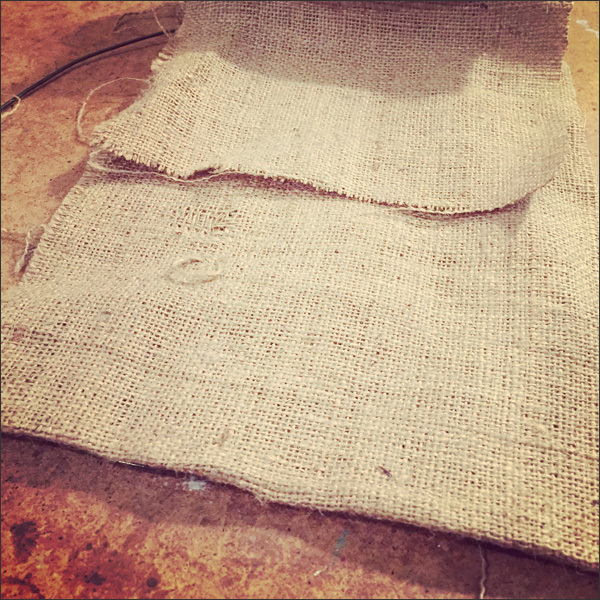 I had some green burlap that was donated to me. I made 3 rosettes that I then glued on using my trusty hot glue gun. 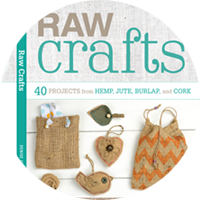 I was feeling very nostaglic making these since I made them for my crafty book, Raw Crafts. And I was done! 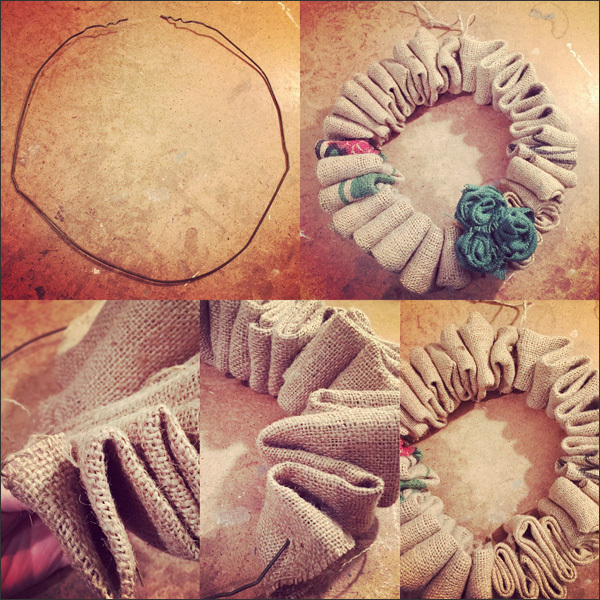 I might get some festive accents in the next while but here it is... From wire hanger to a fabulous DIY burlap wreath. One sample project done! Phew! I might make some other small projects using the other scrap burlap. And now to gather wire hangers and burlap sacs! Next up I'm making reusable packaging for my Xmas Crafts Using Recycled Materials workshop with Guildford Library on Saturday, December 3rd from 11am to 1pm. Definitely feeling crafty these days! And getting into the festive spirit.